What's happening on CBS soap opera The Young and the Restless during the week of May 29-June 2, 2017? Check out the day-to-day spoilers and a sneak peek video below to find out. Victor reveals a secret plan; Hilary encourages Juliet to fight back; Victoria puts someone on the chopping block at Brash & Sassy; Noah and Chelsea are not giving up. 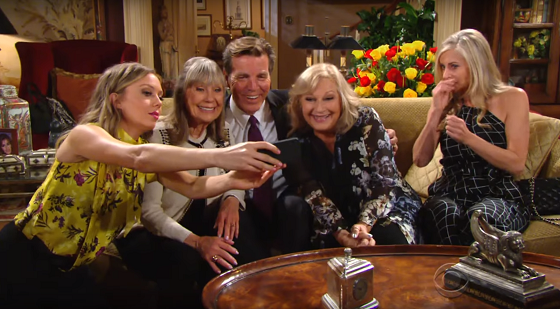 Jack pushes Phyllis' buttons; Chloe resurfaces; Chelsea's world is turned upside down. Dina, "and I'm going to find out what it is." Nick threatens to expose Victor; Ashley hosts a tense family dinner for Dina; Cane makes matters worse with Juliet. Neil is thrown a curveball; old feelings resurface for Devon and Hilary; Kevin confides in Gloria. Ashley learns more about Dina's relationship with Graham; Abby comes clean with Victor; Sharon surprises Nick.